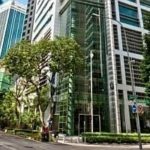 A TOTAL of 51 strata-titled office units adding up to 51,191 sq ft at Parkway Centre in the Marine Parade Central location are changing hands at $53.375 million or about $1,043 per square foot (psf). 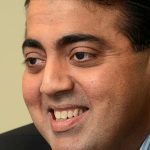 The buyer is a company led by ex-Goldman Sachs banker and real estate investor Kishore Buxani. 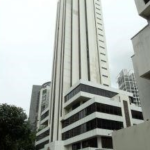 The seller is the Chiu family of Hong Kong that used to run the former Tang Dynasty City attraction in Jurong and which is now developing Dorsett Residences near Outram Park MRT Station.  The office units are located on the second to ninth floors as well as on Level 13 of Parkway Centre, which is on a site with a remaining lease of about 68 years. The units being bought by Mr Buxani’s venture make up about 44 per cent of the 13-storey building’s 116,950 sq ft total strata area and around 43 per cent of its total share value. 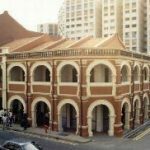 Mr Buxani says ‘there is a possibility we will explore an en bloc sale of the entire building if the other owners are agreeable to the idea, and we will then get advice from the international real estate consultants on the matter’. ‘But it is still too early now, and our focus now is to think creatively on increasing the value ofthe entire building,’ he added. The 51 units being transacted are currently fully leased out, mainly to education and learning centres, at monthly rental rates ranging from about $4 to $4.80 psf, reflecting a net yield of about 4.2 per cent. Going by caveats lodged this year, units at Parkway Centre have changed hands at $1,320 psf in January for a 1,044-sq-ft unit on the eighth floor and $1,327 psf in February for a 1,033-sq-ft unit on the 13th level. Parkway Centre – which has three retail units on the ground floor and 107 office units on the second to 13th floors – is linked via a pedestrian bridge to the large multistorey car park next door and some of the higher-floor units have panoramic sea views. The property enjoys high foot traffic being next to the Parkway Parade mall. 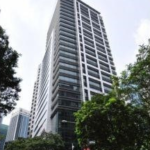 Mr Buxani notes that strata offices at Parkway Parade, which has an almost similar leasehold tenure, currently have asking rents of $5.80-$6.70 psf a month and current asking prices of $1,620-$1,750 psf. Colliers International brokered the recent sale of the 51 strata office units at Parkway Centre through a private treaty deal. 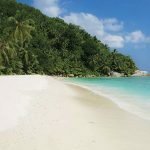 The units are being acquired by Parkway Investment Holdings Pte Ltd, a special-purpose company jointly owned by Mr Buxani and some offshore investors advised by Mukesh Valabhji of Seychelles-based Capital Management Group. The option to purchase has been exercised and the transaction is slated for completion in late June. 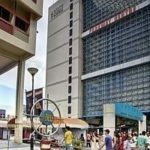 Mr Buxani has also partnered Mr Valabhji’s Capital Management Group for other property acquisitions – such as the 12-storey freehold Finexis Building (formerly GMG Building) at 108 Robinson Road which they bought in 2006 for $48 million and pumped in a further $6 million sprucing up the asset. 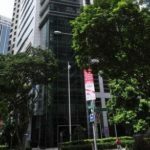 Today, Finexis Building has total strata area of 53,830 sq ft.
Late last year, the partnership sold 50 per cent of the company that owns the office block based on a valuation for the building of $110 million (around $2,043 psf on strata area). The buyer is an offshore fund controlled by a few high net worth individuals. 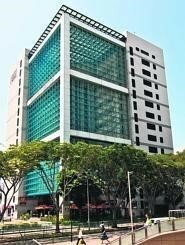 The partnership also bought six floors at Samsung Hub, a 999-year-leasehold office block at Church Street, from OCBC Properties in early 2007 at $1,560 psf on strata area and last year sold off one of these floors (the 20th level) to a Chinese investor at $2,800 psf. Mr Buxani left Goldman Sachs in 2005 after almost a decade. He controls Buxani Group and is also well known as an investor in conservation shophouses in the Chinatown and Little India areas as well as strata office units in the CBD (such as International Plaza and Malacca Centre) and shop units in the Orchard Road belt (including Far East Plaza, Lucky Plaza and Orchard Towers).